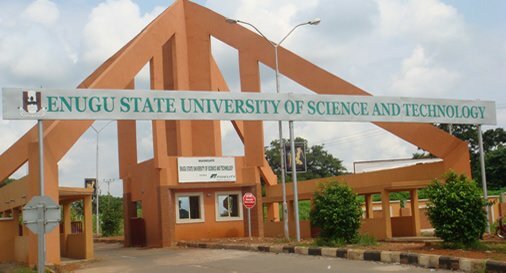 Enugu State University of Science and Technology Enugu (ESUT)has finally open doors for application to qualified students / candidates for the 2019/2020 academic session, 1st or second choice candidates who seek for Enugu State University of Science and Technology Enugu (ESUT) Admission 2019/2020 should see requirements, Application Process and be Ready for the Unified Tertiary Matriculation Examination. VERY IMPORTANT: The Enugu State University of Science and Technology Enugu (ESUT) Post UTME Admission Form for the 2019/2020 is not available at the moment…we will advice that you to stick around or better bookmark this very page once the ESUT Post UTME Admission Form 2019 is out this page will be updated immediately. While waiting for the Enugu State University of Science and Technology Enugu (ESUT) Post UTME Admission Form/DE Screening Exercise for the 2019/2020 see how it was conducted previously. Applications are invited from candidates who sat for the 2018 UTME for admission to degree programmes on a full-time basis in the Colleges and Departments of the Enugu State University of Science and Technology (ESUT) for the 2018/2019 Academic Session. COMMENCEMENT OF REGISTRATION: The on-line registration started on Monday, July 16, 2018 and shall end on Friday, August 10, 2018. The website closes on Saturday, August 11, 2018 at 12 midnight. Candidates Eligible for ESUT Post UTME. ESUT cut-off mark is 170, except for Faculties of Medicine, Law and Pharmaceutical Sciences which is 200. The screening exercise is by Computer Based Test. How to Apply for ESUT Post UTME Online. The registration fee is N2000 (excluding service charges). Under Regular Students, click 2018/2019 Admission Screening Registration. In the page that shows up, key in your JAMB Reg. No. and Click. Key in the required details in the next page to generate your invoice. By Bank Branch: This involves you proceeding to any commercial bank with a printout of the generated invoice which contains a reference number which you would use for payment of N2000 (excluding service charges) via Enugu State IGR paydirect. By Debit Card: This involves you paying online with your Debit Card. Return to the application page and enter your ‘JAMB Registration Number’ again. Print out your acknowledgment slip. And come with it for the Post-UTME examination. Candidates awaiting the results of NABTEB and NECO (June/July) 2018 are eligible to apply. Note however, that results released after October 31, 2018 shall not be accepted. Also, inconsistency in name is not acceptable to the university and may lead to disqualification. Candidates- names on their O-Level certificates and UTME results and other registration documents must be the same. ( c ) Current Passport-Size Photograph. Candidate must certify that the information given by him/her in each of the sections of the screening form is to the best of his/her knowledge accurate. Should any be found to be false, he/she shall consider self disqualified. All direct entry candidates who chose ESUT are also to sit for the screening test. They are therefore required to access the screening forms and other information about the screening on-line as stated above and request their institutions to forward to ESUT Registrar, transcripts of their results. The general public is advised to be mindful of fake website by Dupes and to note that www.portal.esut.edu.ng is the only official website of ESUT for this admission exercise. P-UTME SUBJECTS: English Language, Mathematics and Government. Thank you so much for taking a Tour on this post (Enugu State University of Science and Technology Enugu (ESUT)) we have take time to officially dish out Top Information and Now it’s turn to show us a little gratitude. Help us spread the information by making use of the sharing button Below, and don’t forget to subscribe to get great News and other Information, we wish you success in all your endeavors…Stick around for more Info.